Having shiny, smooth and healthy-looking hair can undoubtedly improve your appearance and make you more attractive and seductive. Thick and shiny hair is also considered as a symbol of good health and beauty. 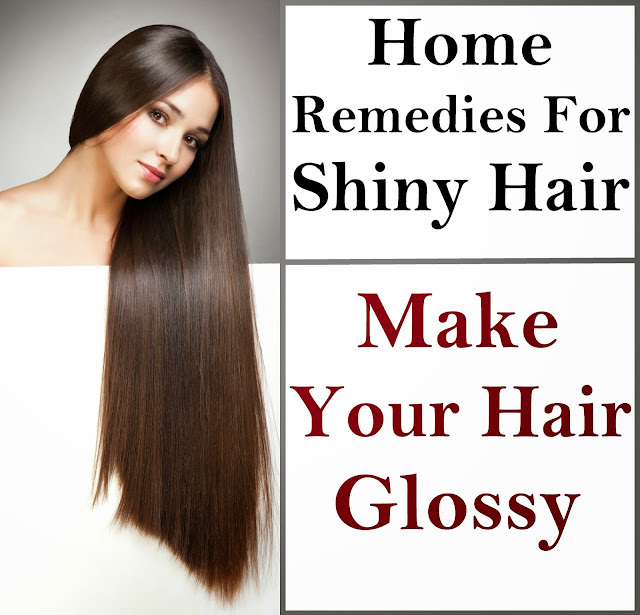 Fortunately, there are some simple and cost-effective home remedies for shiny hair that can help you make your hair glossy, vibrant and healthy. Most of the ingredients used in these remedies are easily available and cheaper than the hair shine products available in the market. They are also easy to prepare and have been proven effective in improving the shine and texture of hair. Eating a healthy and nutritious diet is essential for a shiny, healthy and beautiful hair. Make sure that your diet includes plenty of proteins and omega-3 fatty acids. Vitamins such as beta-carotene, biotin, vitamin E and vitamin C are absolutely necessary for the growth of strong, smooth and shiny hair. You should also increase the intake of foods containing selenium, iron, sulfur and zinc. Drink plenty of water everyday. Avoid excessive blow drying and excess use of chemicals. Try to use cool water to wash your hair. This is one of the easiest and safest methods to clean your head. Eggs are good for the health of your hair and are used in many home remedies for shiny hair. Crack an egg into a bowl and mix it well with one teaspoon of honey and two tablespoons of olive oil. After shampooing and cleaning your hair, rub this mixture into your hair and scalp for five minutes. Wash the hair with water. Beat two eggs in a bowl and add four tablespoons of olive oil. After applying it to your hair, cover with a plastic or shower cap. Wait for about twenty minutes and then rinse it clean. A mixture of egg and mayonnaise can also help you get shiny hair. Add two tablespoons of mayonnaise to one beaten egg and mix them well. Apply this mixture thoroughly on your hair, leave it on there for at least ten minutes and wash it off. Rinsing your hair with an apple cider vinegar is also an excellent home remedy for shiny hair. Add one tablespoon of apple cider vinegar to two cups of warm water. Shampoo and wash as usual and then rub the apple cider vinegar rinse into the hair. Let the rinse sit on your hair for sometime and wash it again. Washing your hair with beer can also help obtain shinning and smoothness. Do You Really Need a Night Cream? How To Quit Smoking For Better Health?